Bigelow Park is a recognized recreational property that is afforded protection under the requirements of Section 4(f) of the Department of Transportation (DOT) Act of 1966. Use of Federal Funds subjects the proposed undertaking to the requirements of this federal law that protects publicly owned parks, recreation areas, wildlife and waterfowl refuges, and public or privately-owned historical resources. 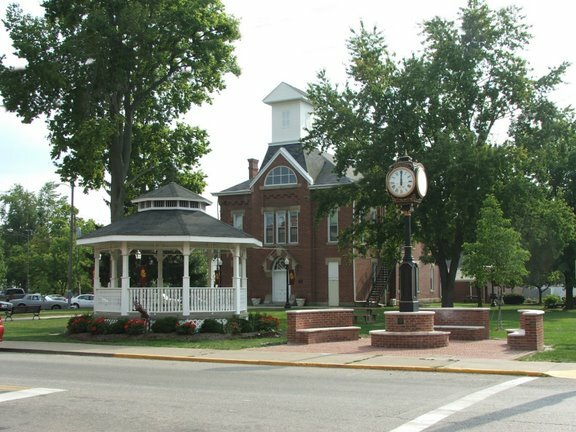 Bigelow Park, which includes the Monroe Township Hall and Opera House, is open to the public and maintained and operated by the Village of Johnstown. 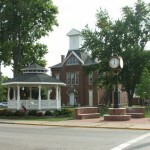 The park contains a bandstand (gazebo), park benches, green space, and a brick seating area surrounding a clock. Bigelow Park is a main gathering point for festivals, events, and village activities throughout the year. Although a portion of the park is owned by Monroe Township, a resolution passed on March 6, 2010, recognized that the Village of Johnstown would represent the township during project decision-making and be the Official with Jurisdiction over Bigelow Park.